The author of the book Professor Mario Marafioti (1878–1951) was a well-known doctor laryngologist, who had been consulting to Enrico Caruso, the singers of the Metropolitan Opera and amateur singers for many years. Marafioti describes the method of voice production, which is based on physiology. The book “Caruso’s method of voice production: the scientific culture of the voice” devoted to the great tenor Enrico Caruso, was published soon after his death in 1921. 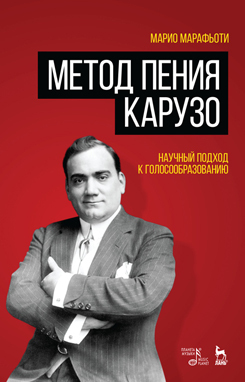 A scientific attitude to the phenomenon of Caruso’s voice is presented in the book. It contains illustrations and scores that are vocal exercises of Enrico Caruso. The publication is intended for singers, vocal teachers, and students-vocalists.